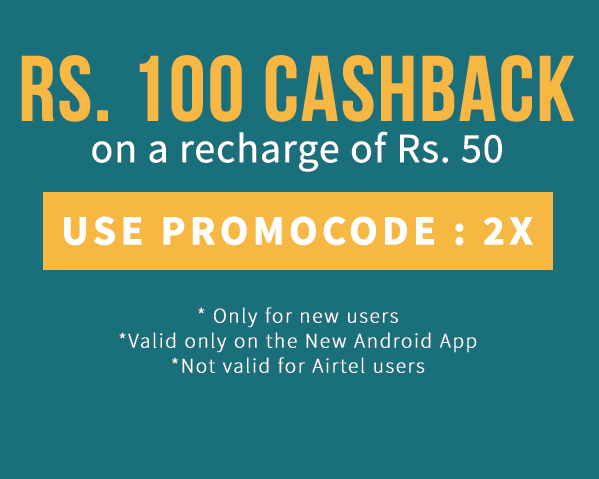 3.Initiate a Recharge of 50 or More. 6.BoooM! 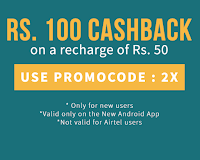 !You will get Rs.50 Recharge + Double of Your Money (Rs.100) in Fc Credits. What is Fc credits ?? - Fc credits is a freecharge wallet money like paytm,You can use this money on next Recharge,Bill Payments,Shopping... etc. 1.Offer Valid For New Users. 3.Offer Valid once per user/DC/CC/Net Banking. 4.Offer Not Valid For Airtel Transaction. 5.Cashback To offered in form of EGV which can be redeemed in next 185 days from date of credits. 1.Offer valid only for new users. 2.Offer valid on transaction with Net Banking also. Now What!! Just arrange new numbers and create new account in freecharge pay the amount with Net Banking,Continue it Unlimited times.